The first thing to realize about RESPs is that they are taxed in the hands of the student and do not add income of any kind to the subscriber. This is intentionally set up by the government because students usually don’t use all of their tax credit room anyway. Next is that the government actually differentiates the types of money in your RESP account. There are two types of money: contributions and accumulated income. Contributions are all of the original money your parents put into the RESP, it’s important to note that they have already paid tax on this money. Accumulated income is the money in the account that the government gave through the CESG (Canada Education Savings Grant), and then any interest, dividends, or capital gains that were made by investments inside the account. It’s important to note that before withdrawing this money no taxes have been paid on it. For example: If the Smiths invest 2,500 in an account for Jr every year until he is 18, and invest the money in basic 4% bonds there would be a total of about $80,000 in the account. Of this $80,000 the Smiths would have invested $45,000. This falls under their contributions and subsequently can be taken out tax free. This leaves about $35,000 that the Smiths have received through the CESG grants, and the bond interest on their money and the government’s. This is accumulated income and will be taxed in the hands of the student when they take it out. 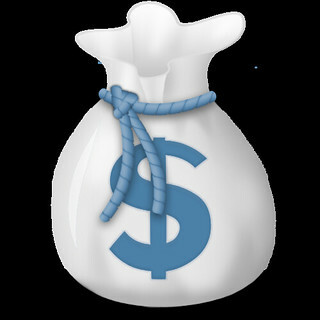 When money is withdrawn from the account, only the part that is accumulated income is taxed at all. Now, as previously mentioned, students should have plenty of tax credits ready to soak up this extra income and it shouldn’t be a big deal; however, if you want to get really efficient you may want to consider withdrawing much of the accumulated income portion of the RESP in the first year of university. The reason for this is that most students will probably make a lot less money working two months as a 17/18 year old, than they will working 4 months with some accumulated education and work experience. Consequently, they should have the most tax-free room that first year. This strategy would leave the contribution money for the next few years as the student starts (hopefully) making more money at their summer/part-time jobs. RESP Rules – How Do I Get My Money? Ok, so now you’re set with a withdrawal strategy that you can personalize for yourself. The obvious question is: “What stack of paperwork does the government need to get my money out?” There is good news on this front! The government only requires a short document called a Verification of Enrolment form. Most administration offices should have a stack of these handy (and unfortunately they’ll probably charge you a ridiculous user fee for processing). At the U of M they are located right in the Registrar’s office…yes beside that huge line. Simply fill out the form, get the verification, take it your financial institution and get your money. Parents out there can also rest easy knowing that at no point can the student simply go get the money out of the account on their own. Even though the income (through Education Assistance Payments or EAPs) is taxed in the hands of the student, it must be taken out by the subscriber/parents. When you consider how complicated many financial processes can be this one is actually pretty easy. This is the cherry on top of the all of the benefits of using an RESP. See our other articles for more information regarding RESPs. This video below explains things pretty well. , it is written by a fellow blogger and the book itself has great reviews! I hope all of this helps. Happy Savings! That’s an awesome story! Just think about how long that money have to compound for your son! I hope he makes good use of it.